An assistant professor’s fight against campus harassment soon becomes a fight for her life in this “totally compelling and utterly modern mystery” (Judy Grahn, American Book Award–winning author). Assistant professor Nan Weaver, an outspoken feminist, is working toward tenure at Berkeley. Nan’s blue-collar family left her with a legacy of endurance and hard work, and she is dedicated to her ideals and her students. But Nan’s bold campaign against on-campus sexual harassment may be putting her career prospects in jeopardy. When an infamously chauvinistic male English professor turns up dead in his office, everyone suspects activist Nan. But she is innocent. And she knows who the murderer is. 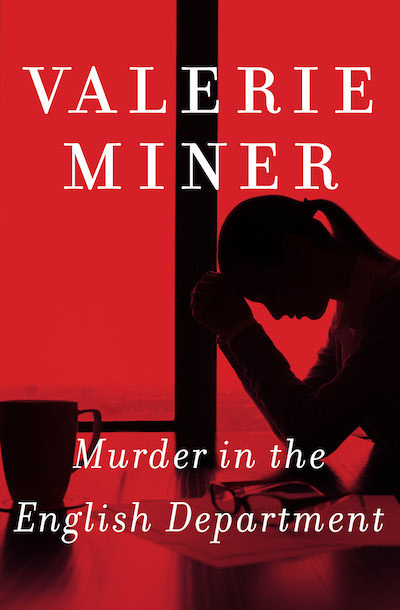 A fast-paced, nontraditional mystery that places a strong woman in a battle for her innocence and principles, Murder in the English Department is a must-read for academics and mystery lovers alike.